Raw performance in a sleek design built for pure power and speed? That's the all new Kova, forged using the legacy of its fan favorite Kova predecessor as its blueprint. It's got double the button functions on a streamlined frame with fine lines and angles reminiscent of a high-end sports car. Double-powered DPI for precision gaming, finished off with a world-class illumination suite integrated into an ambidextrous-use, expertly engineered package. 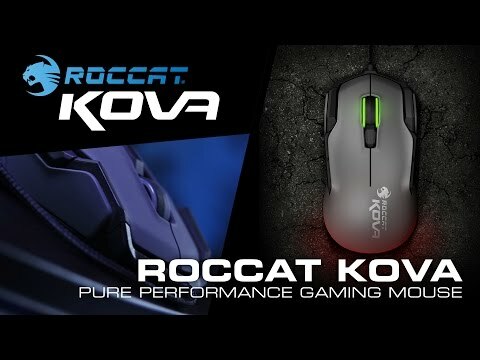 The new Kova is double the ROCCAT® power in the palm of your hand.